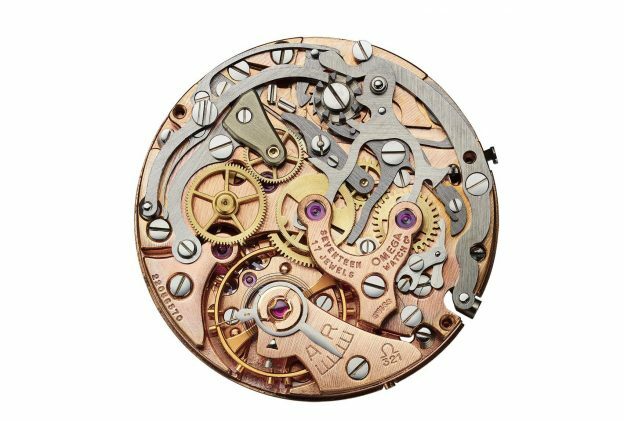 If you ask most watch fans to name a famous movement they’d like to see reborn, you’re bound to hear them mention the OMEGA Calibre 321. This robust and elegant chronograph movement has been a favourite since the 1940s and is still highly sought-after by watch collectors around the world. Now, more than 50 years after the last Calibre 321 was produced, OMEGA is bringing the iconic movement back. Reintroducing a movement with such an important reputation must therefore be done with the utmost exactness. For the Calibre 321 project, OMEGA utilised a dedicated team of experts who worked efficiently over two years and in total secrecy to bring the movement to life. The small group was composed of researchers, developers and historians, as well as the finest craftsmen and experienced watchmakers. 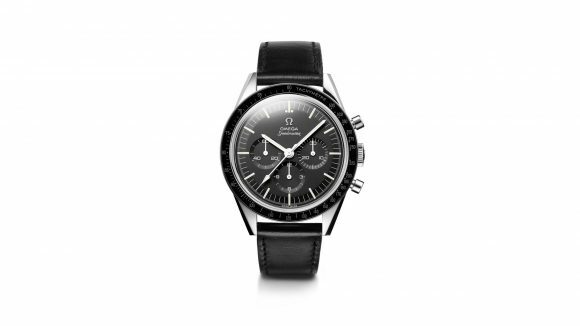 To protect the project’s exclusive details, the team even worked under the codename “Alaska 11”, in line with the names that OMEGA used for its secret Speedmaster designs for NASA in the 1960s and 70s. The new movements will now go into production at OMEGA’s HQ site in Bienne. Uniquely, all aspects of creation will be undertaken within a dedicated Calibre 321 workshop. For each movement, the assembly, as well as the watch head and bracelet assembly will be performed by the same watchmaker. Watch fans can expect more developments and news in the coming months. This entry was posted in Speedmaster Professional and tagged BaselWorld, calibre 321 on January 8, 2019 by Dale Vito. The 2016 Omega Speedmaster Master Chronometer Moonphase has been widely covered, but have you also seen this gold version with white dial? It’s a beast- far from traditional, but strangely appealing! The Moonphase is powered by Omega’s 9904, a 9300-derived movement with pointer date at 9:00 and moonphase at 6:00 – numbering might be slightly different for this gold version, but no details are out yet. The moonphase is done with great eye for detail. Our friends over at WatchBase have all the details on these covered. This entry was posted in Report, Speedmaster Automatic and tagged BaselWorld, Co-Axial, Speedmaster Moonphase on April 7, 2016 by Dale Vito. 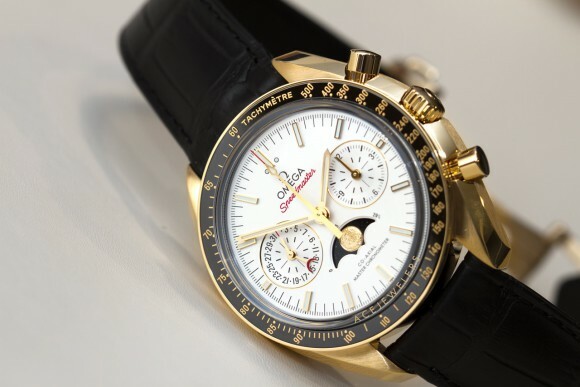 BaselWorld 2015: any Speedmaster wishes or predictions? BaselWorld 2015 is around the corner.. Got any wishes and / or predictions? We think a trio like the above would be great fun : an 1861-based rattrapante in steel, a red dial (not unlike the mythical red dial Rolex Daytona) and a fun ‘First Duck in Space’. What do you think Omega will bring out this year? On a serious note, we expect one or two new ceramic models and and perhaps one or two nice limited’s – perhaps titanium again? As we’ll be in Basel Sunday ’till Tuesday, we’ll keep you posted! While we’re at it – Omega, why not create another Speedmaster ’57 Replica using the First Omega in Space case? Or a ‘simple’ reverse panda inspired by the meteorite? The Speedmaster is such a great canvas.. This entry was posted in Editorial, Speedmaster Professional and tagged BaselWorld on March 11, 2015 by Dale Vito.